IT’S a parochial tale passed around for almost 100 years of a missing jewel and the ghost of one of the “Ancient People” of this land, said to wander the grounds of an iconic Canberra property. The retellings have ranged from whisperings round the campfire, to newspaper columns and books, among those believing they’d encountered the “strange, thin and eerie” figure, prominent clergymen to highly-regarded public servants. And then there’s the potential connection to a world famous diamond. So, is it an authentic territory-based spectre, one of the earliest urban myths of the capital region or might it possibly rank as the first local hoax? 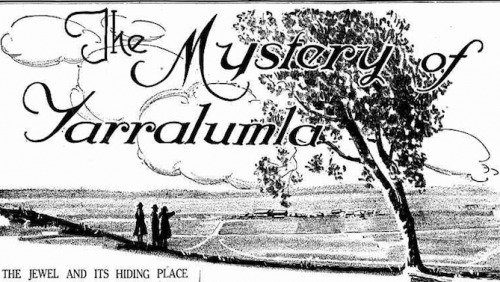 “The Mystery of Yarralumla” had its public beginnings in a 1924 article in the tabloid, “The Sun”. Long before the “found footage” of “The Blair Witch Project” would ever become a thing, an “old letter or manuscript, unsigned”, dated 1881, was discovered at the pastoral homestead that would later host governors-general, after its Commonwealth appropriation in 1913. It revealed how in 1826, a James Cobbity of Queensland was dispossessed of “a large diamond” by a convict, who passed it on to an unnamed friend for safe keeping. Following a prison escape, said friend wound up settling in these parts – still in possession of the stone – the reverend James Hassall, chaplain of the Berrima Gaol where the man had recently resided, declaring he was witness to “seeing him live honestly”. On his death, his son decided to make good on the inheritance and set off to Sydney accompanied by an, again nameless, Aboriginal man. 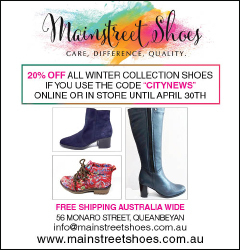 “Between Cooma and Queanbeyan they were held up by bushrangers”. Rather than give over the diamond, the son’s companion swallowed it. Enraged, the villains of the piece shot him. John Gale propagated the yarn in his 1927 book “Canberra Myths and Legends”. Thereafter, the innocent victim was buried “under the large deodar tree” (not elm) on the land of “Colonel Gibbes, and later Mr Campbell”. While no reference was made to the guardian ghost in the original, his presence grew as pronounced as the shadow he was subsequently said to cast on moonlit nights when seen fossicking among the roots, allegedly looking for the treasure he took to his grave. Although I’m loathe to put paid to such an august local enigma, the story would seem to have more holes than the poor man’s alimentary canal had he really decided to choke down the irregularly shaped rock. The existence of one James Cobbity appears dubious. Granted, this would have been harder to ascertain nine decades ago, but surely more widely known was the fact diamonds weren’t discovered in Australia until 1851, near Bathurst. Outside a family heirloom, precisely how farmer Cobbity came by such a precious commodity is relegated to the list of unexplained elements. 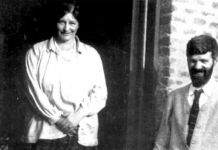 In contrast, the reverend Hassall certainly existed, attached to the Berrima lock-up at about the time in question. He also just happened to have grown up at Cobbitty (double “t”), NSW, moving to Queensland soon after the described dramatic events. He died in 1904, conveniently eliminating any chance for corroboration. In the throes of further historic sleuthing, I happened upon a strikingly similar legend attached to the “cursed” Sancy Diamond. In the late 1500s, a servant dispatched to deliver the jewel on behalf of the French king, was murdered. The diamond would eventually be discovered in “the faithful man’s stomach”. And so then, to the final act in this compelling Canberran conundrum. A singular reference in the “Sydney Morning Herald” of 1945 appears to reveal all. Mrs Kate Newman, of Sydney, formerly of Yarralumla, declared herself the daughter of Frederick Campbell, owner of the property from that prophetic year, 1881. According to the once Miss Campbell, she’d decided it needed to be known the piquant tale was “pure imagination”. Concocted with a friend, they wrote it down and hid it, not too carefully, in “old Colonel Gibbes’ stone vault”. From there, it was “well away”. The creative genesis of the fabrication wasn’t provided but the Sancy was making headlines at that juncture: the gem had mysteriously disappeared for 40 years, resurfacing in 1906 and purchased by the American millionaire, William Waldorf Astor. He bestowed it on his son’s new bride (Lady Nancy Astor, who would become only the second woman elected to the English House of Commons) as a wedding gift. A suitable spark for young, febrile imaginings perhaps? As it is, the tree still stands unmolested in the grounds of Government House. Given they live for centuries, the kernel of doubt that raises will invariably see this tantalising bit of folklore resurrected for at least another 100 years. Nichole Overall is a journalist and history sleuth, intent on uncovering regional mysteries of the most obscure kind. For more of the details, including famous apparent sightings of the Ghost of Yarralumla, see nichole2620.wordpress.com. 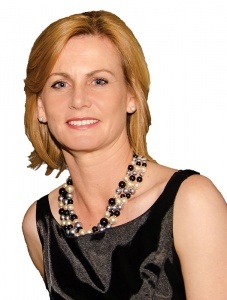 Yesterdays columnist NICHOLE OVERALL tackles the Mystery of Yarralumla. 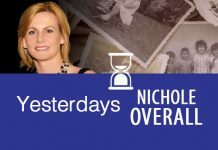 Nichole Overall is a Queanbeyan-based journalist, author and social historian.